Gone are the days of finding an apartment by solely searching phone books and classified ads in the newspaper. The internet has opened a whole new method of finding the perfect apartment. Multiple websites exist to aid in a search for the right apartment for anyone. The oldest player in online apartment searching. Virtually every town in America is listed on this website. 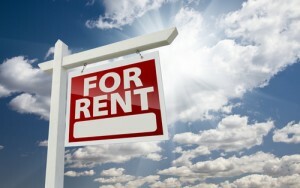 Prospective renters are able to search by location and apartment size. Amenities and public transportation nearby are listed within the search. Photos of apartments and the complex are available for viewing before going to an onsite look at the apartment. An iPhone application is built into the website to help renters find what they are seeking. This website is a fabulous tool for anyone looking to find an apartment online. Renters are able to narrow down a search by pet friendly apartments or military housing. Potential renters are able to search by city, state or zip code. College students have the ability to input the name of their college to discover if there are any available rentals near the college. This handy site will email new listings that match a criteria set by the apartment hunter. This website offers a unique approach to apartment hunting. Users are able to enter search criteria and receive results tailored to their search. Heat maps are available to show renters what others are paying in the area for comparable rentals. These heat maps have the ability to indicate age ranges and income brackets of an area. Renters are able to find available sublets and potential roommates on the website. Hotpads also lists homes for sale and foreclosures in the area. Similar to local online classifieds, this website offers a comprehensive list of apartment communities for a wide range of areas from apartments in Georgia to Orange County, CA apartments. You will have the opportunity to view a wide range of floorplans, pricing options, monthly rental specials and can even submit an application online. Renters should not neglect to search local online classified ads. Large cities often have websites offering classified ads to residents of the area. A quick search online will help a renter locate these sites. The majority of newspapers offer their classified ads online. Performing a search on a newspaper website may help a renter find an apartment that is not listed on any of the typical online apartment websites. Some property owners prefer to utilize newspaper ads only. Doing a search through the newspaper will guarantee the renter is not missing out on any hidden gems.